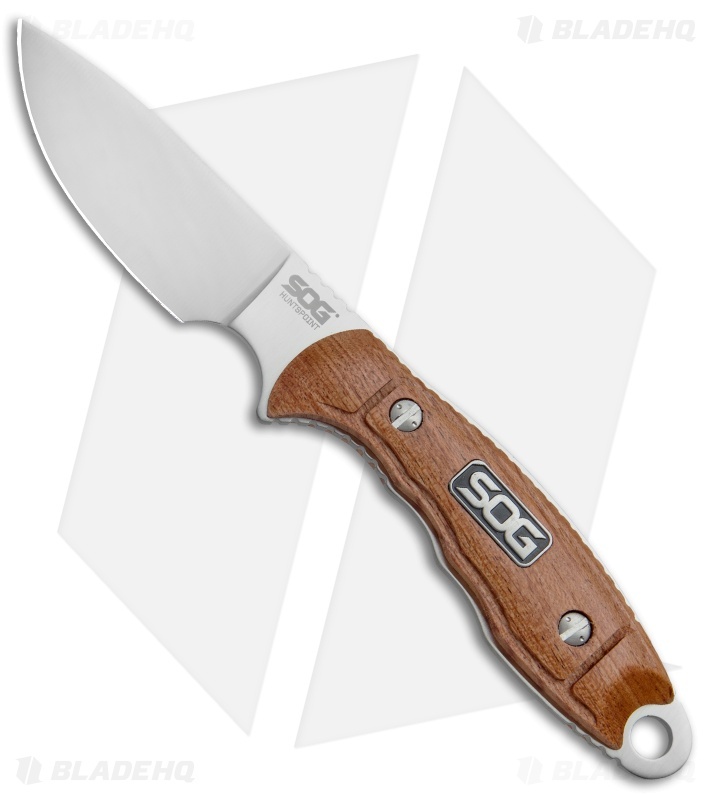 The Huntspoint is part of SOG's new line of Hunting knives. The AUS-8 steel drop point blade is flat-ground and specifically designed for skinning. The Rosewood handles are a great fit on this knife with a slight offset around the edges for excellent grip. 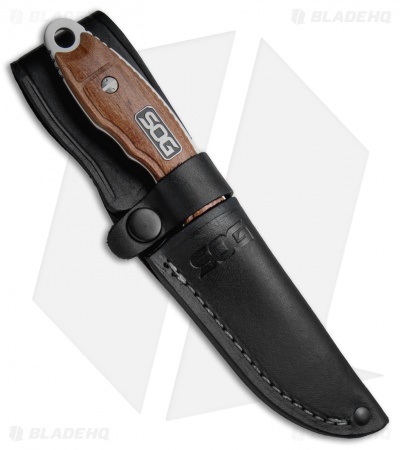 The choil allows you to confidently choke up on the blade for fine, delicate tasks. The Huntspoint comes with a USA-made leather sheath. 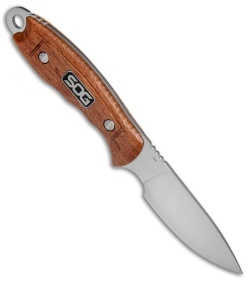 Field & Stream says that the Huntspoint knives are one of the best new hunting knives for 2013!